"3D Lenticular Art Photography" is at Prague New Town Hall Gallery till March 13th, 2011. Prague New Town Hall Gallery displays from February 8th, 2011, three world-unique large-format photographs created by 3D lenticular printing technology. Large 3D images with women's nudes themes are part of the exhibition "SEJKOTCOM & faceback". 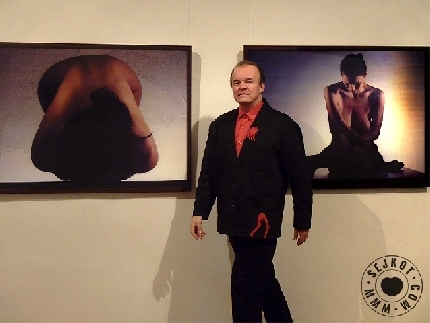 Roman Sejkot exhibits 3 meter in size nudes created by "3D Lenticular Print" technology as first Czech photographer. Three-dimensional image can be seen without glasses from different angles without feeling of the "theatre flatness". There is only British artist Jeff Robb who uses 3D lenticular printing for his art nudes.